230 pp. Stamped cloth cover, frontispiece, 7 color plates listed in illustrations-page 38 plate removed illustrations by Harrison Cady. A story about animals that teaches lessons about getting along. 14 pp. soft cover. French language. An endearing book about a mischievous little bear, named Michou, and the trouble he gets into both at school and at the pool. Illustrations are in both color and black and white. Measures 8 1/2" x 7 3/4"
. There is a large stain on the cover mostly on the front left corner, but some of it is also on the back cover. The covers are also partially detached in this area. Additionally, there is some missing surface litho on the front left corner. Edge wear. The interior pages are toned due to age. Reprint. Unpaginated hard cover with paste down illustration. Color frontispiece and full page illustrations periodically throughout the book. Each page with black and white line drawings. Two small spots of faint discoloration on dust jacket. See image. Applied illustrated black and pink hard cover, A Volland Book to Read and a Doll to Cuddle, trademark, color and black and white illustrations by Erick Berry. The adventures of a lonesome puppy looking for some one to cuddle with. He watches the people to find out how to act and sometimes gets into trouble. A charming book with a story for every holiday, such as "The Frost Fairies' Christmas Tree", "A Pleasent Year" for New Year's Day, and "The Little Cherry Tree" for May Day. The book is also full of little days for 'other days' such as "The Runaway Dolls" and "The Slow Little Boy." The book has an introduction written by Lucy Wheelock. 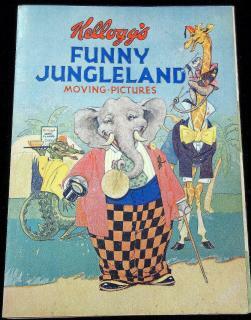 A 163 pp book, with pictorial orange cloth hard covers and illustrated end papers. Thirty-eight (38) illustrations, on either full, half, or quarter page. The majority are charming black and white illustrations, however four of them are in vibrant colors. Additionally, there are six black and white boarders with illustrations. Illustrated by Frederick Richardson, Eunice Stephenson, Edwin J Prittie, Ruth Collins Spears, and Mary R Wireman.. This book used to belong to a library. As such the back strip has a identifying letter on it, and the both end covers have damage on them due to the borrowing card having been removed. Beyond that, there is minor damage to the top of the back strip. Unpaginated hardcover book with applied pictorial litho. Stories include The Three Little Kittens, The Three Bears and The Three Pigs. Profusely illustrated in full color and black and white illustrations throughout. Of special note/interest in this book a budding artist took the opportunity to draw on all blank pages; predominantly with pencil; some rather sweet and somewhat patriotic images including the US 1942 Jeeps. Adds that personalized touch... Measures 10 1/4" x 12". 30 pp. Applied printed color cover, extended title: Containing the Stories of Peter Rabbit, Red Riding Hood, The Three Little Pigs, Cinderella, and Three Bears, color and black and white illustrations. A retelling of four Hans Christian Andersen classic fairy tales, "The Tin Soldier", "The Dancing Flowers", "The Wild Swans", and "The Ugly Duckling". Wonderfully whimiscal color illustrations fill every page, bringing the well known stories to life. Illustrated by Maraja. Printed in Italy by Fratelli Fabbri Editori. Measures 13 1/2" x 9 3/4".. Edge wear to covers and back strip. Both front and back covers have minor stains and soiling. There is an inscription by a previous owner on the interior cover. 6pp. Litho on board throughout. German language. A charming story about the trouble three hares get into while their mother is away visiting a friend. The illustrations in the story, while simple, are colorful and whimsical. Measures 7 1/2" x 5"
. Very minor cover and edge wear. Marjorie Weinman Sharmat. I'm Terrific. Scholastic Book Services. New York, n.d.
unpaginated. Printed paper cover, black, white, and orange illustrations by Kay Chorao, printed on peach paper. Jason Everett Bear lives with his mother in the forest. He loves himself and is very proud of himself because he does everything he is supposed to. He gets teased by the other animals who think he is a show off and " mama's bear" . He tries to act differently by getting into trouble but soon realizes that does not work. unpaginated. Printed color soft cover, black and white illustrations by Nina R. Jordan. 32 pp. Blue hard cover, color and black and white illustrations, black and white illustrated end papers, Verse collaboration by Betty S. Fix and Sue Amsden Parker, Illustrated by Kenneth McLellan and assisted by Miriam Morgan Cooper. Part of the Idabell and Wakefield Adventures. Idabell and Wakefield discuss rules and good behavior, for example, virtuous behavior, talking to strangers, crossing the street, covering mouths when sneezing, and hygiene. 11 1/4" x 9 1/4"
unpaginated. Illustrated applied hard cover, color illustrated end pages, black and white and color illustrations by Walt Disney Studios, color punch out characters for Mickey Mouse, Tanglefoot, Pluto, and Minnie Mouse (Mickey Mouse has been removed). 64 pp. Printed color cover with matching dust jacket, color illustrations throughout, An I Can Read Book. Mr. Pig gets married to Selma Pig. When she tries to tell him that his son Sonny Pig will have a half baby brother or sister, Mr. Pig is confused about what the other half will be. A silly tale about a a pig family. unpaginated. Printed soft cover with cloth spine hand sewn, illustrations, Pleasure Books. An old dame founf a silver sixpence while sweeping her home. She went to town and traded it for a white pig. While trying to get home, the pig refuses to go over the stile. She tries to get a dog to bite the pig but ends up having no one listening to her until a a smart mouse comes along. unpaginated. Stamped cloth cover with applied color illustrated pictorial, color illustrations throughout by Lang Campbell, preprinted ex-libris with matching illustrated advertising end papers at back of book. Three short stories-Uncle Wiggly, Nurse Jane, and Uncle Butter spend the day at the beach; Uncle Wiggily visits the Hollow Stump School while bad Gator, Bob Cat, and Fox plan to catch him; Uncle Wiggily and Uncle Butter go golfing and escape the attempts of Bob Cat, Fox, and Wolf to catch them. A retelling of the classic fairy tale of Snow White and the Seven Dwarfs. There are color, full page illustrations, beside each page of the story. The drawings are whimsical and charming. Some tape repair. In German. Softcover, 12 pgs. Measures 9" x 7 1/2"
. Moderate cover wear. Some tape repair evident on interior pages due to a binding repair. Age toning and edge wear. This does not effect the illustrations or readability of the book. Hardcover. 8vo. Illustrated litho cover. German language rhyming nursery book. Illustrated in black and white. Anthropomorphic animals interact with small children throughout. 95pp. Illustrated Hardcover. In-text black and white with color imagery.Vibrant color. Illustrated end papers. Measures 6 1/8" x 9 1/8". 99 pp. Printed color paper cover, first edition, color illustrations by Sarah Wilson, black and white chapter page decorative block, A Star and Elephant Book. unpaginated. Applied color printed cover over cloth spine, matching dust jacket, story is interspersed by full page color illustrations by Fern Bisel Peat. Rag doll Jane meets many interesting characters, squirrels , cubs, soldiers, sailors, and clowns. unpaginated. Printed color cover, color illustrated end papers,color illustrations throughout by Johnny Gruelle, 15th edition. Sunny Bunny and his family are in a bind, the farmer has plowed up all the grassy land and Sunny Bunny being a respectable and honest bunny will not steal from the gardens. He moves his family and is almost out of hope when he encounters Bobby and betty, two children who are sad because they set up a beautiful home for guinea pigs but their uncle can no longer get the guinea pigs. Sunny Bunny and the children come to an agreement. A charming children's book full of Mother Goose Rhymes and colorful illustrations. In addtion to the classic rhymes the book also features several short stories, such as "Good Doggies" and "The Quack Quack Family". There is also an ABC section to the book as well. Red cloth backed covers, with a pictorial cover attached. Pictorial end papers depicting characters from the rhymes. Unpaginated. This book was copyrighted in 1927, 1928, 1929, and 1939. It is the 23rd edition. Edited by Watty Piper. Measures 12 1/4" x 10". Edge wear to cloth covers, the boards beneath the cloth are exposed in the corners. The pictorial cover is worn on the edges, and has some small sections of missing surface litho. Back cover has some stains. Inside endpaper is torn in two places. Tape repair to binding. There is an inscription down by a previous owner. Minor stains and toning on interior pages, does not affect readability. 8pp. litho wraps. Electroyped by Vincent Dill. Oft told tale of a tiny boy and his adventures while catching rides on mice, birds and butterflies. Reverse promotes various McLoughlin Bros. Series. Measures 9 3/4" x 6 1/8". . Heavy wear with cover repair and sewed repair back strip. Art Tanchon - Illustrator Circus Day - Cut-out Book No. 135.. Stephens Publishing.Sandusky, OH.n.d. c1950s. 6 page paper doll book with heavy stock covers. Paper dolls printed on back cover. Each character has a page of costumes and accessories. They include Bosco the Bear, Monk (monkey), Elmer the Elephant, George the Giraffe and Laffie "the Clown. The final costume page is the circus ring and animal cars. Measures 10 1/2" x 10 3/4"..
8 leaves including wraps. Each page printed on one side. Hand colored engraving of anthropomorphic or humanized kittens throughout. Text in rhyming verse. The courtship and marriage of the three little kittens--mostly occurring with mittens on... Some discoloration and toning. 6 1/2" separation of cover at spine. Strong color. Measures 7"x 10 1/2". 32pp. Dust jacket. Both written & Illustrated by Faith Jaques, the book tells the story of a doll named Tilly, who leaves the her doll house in search of a place of her own. Along the way she befriends a teddy bear named Edward, who helps her find her way in the world. Tilly shows herself to be a strong, independent individual who is not afraid of hardwork. The illustrations in this children's book are the real gem, as they are extremely rich and detailed and make Tilly's world come to life for the reader. Measures 10 x 8 1/4"
. Very minor edge wear, due to rubbing. A small amount of brown speckles on the front cover. 10 pp. (plus 8 uncut sheets). Hardcover, German language. An interactive book, that allows the reader to tell the story of a day on the farm. Included are the paper dolls the two children, Johanna and Stefan, and their Father, Mother, Grandmother, and baby sister. All sheets are UNCUT. Measures 11 3/4" x 9 3/4"
6 leaves (2 unnumbered text leaves, 4 unnumbered leaves of plates of color illustrations). Tells the classic poem of "Mother Hubbard and her Dog". One interior front and back cover is printed music for the poem. The four leaves of color illustrations are illuminated and each showcases a different verse of the poem. The images are captioned with phrases like "Ye Dame Bryngeth Hys Coffyn[sic]" and "Ye Doggie Readeth Ye News[sic]". Measures 7 3/" x 5 1/2". . Edge wear and toning due to age. Sewing repair to binding. Inscription by previous owner. Back interior cover page has partially separated from the wrapper. Illustrated cover. 8vo. Unpaginated. Profusely illustrated in black and white line drawings and full color illustrations. Surface soiling and edge wear on cover. Unpagenated. Litho on board covers. Full page illustrations with rhyming verse at base. Collection of Nursery Rhymes. Front free paper detached but present. Hinge is loose but attched. Intact tears last two pages 3in. along back strip. Measures 5" x 7". 16pp nursery rhyme picture book. Includes six (6) full page chromolithograph images and numerous in-text three color line drawing. Charming anthropomorphic or humanized dog. Measures 10 3/4" x 9 1/4"
Large format picture story book with rhyming verse and associated imagery, featuring anthropomorphic or dressed animals. Includes in-text line drawings and full page color illustrations. Color illustrations depict dogs riding bicycles, a robber dog attacking a robber kitten with a club. inquisitive dogs trying to open a bottle of champagne, the dog Dame Hubbard cradling a kitten while watching Old Dog Tray play the flute. Numerous other whimsical verses and illustrations. Measures 9" x 13 3/4". Light edge wear. Strong color. 63 pp. Embossed Cloth cover, illustrated end papers, color illustrations throughout. A collection of stories by Ethel Clere Chamberlain, Sara E. Wiltse, and others adapted from Old Norwegian Tale. Illustrations by Nell Witters, Marie Schubert, and Julia Green. Unpaginated. Applied litho on cloth binding. Illustrated end papers with pigs. In-text three-color anthropomorphic animal images throughout. Stories of Peter the little pig who lived at Folly Farm. These stories were broadcast on Madge Tucker, director of Children's Programs for National Broadcasting Company, Sunday Morning Children's Hours. Content includes Peter Pig Discovers Things, Peter Pig Takes a Prancing Lesson, Peter Pig Meets a Ghost, Mumsy Pig takes a Holiday, A Pig is judged by the way he oinks and much more. Measures 7" x 10". 6 leaves plus inside covers. Illustrated wraps. Hand colored. Story of Lady Golightly, a grasshopper and her cousins and how they learn to make hay while the sun shines. Text block detached. Measures 10 1/8" x 7 1/8". 45 pp. 8vo. red cloth on board with pictorial cover label depicting courting penguins. Bright illustrations top portion of each page Inscribed on free end paper. Generalized light wear from handling and edge wear on cover. Vibrant color. 25 pp. litho on board book with three (3) die-cut pops. First text page titled "Blinky Bill" Story of a discontented koala bear. Pop-ups include "Blinky with Frogs, Blinky at Miss Prim refreshments and Blinky in the Peppermints. In-text black and white illustrations. Measures 7 1/2" x 7 3/4". In original box. Illustrated litho boards. Rhyming verses by named flower with color illustrations of flower child on each page. From Anemone to Sweet Alyssum. Charming imagery Illustrated end papers. Measures 6 1/4" x 9 1/4". In original box. 95pp. Illustrated litho on boards. Rhyming verses by named animals with color illustrations of animal child on each page. Illustrated end papers. Measures 6 1/4" x 9 1/4". In original box. 95pp. Illustrated Hard Cover. Rhyming verses by named birds with color illustrations of bird child on each page. From Sir Rook to Sandpipers and Petrol Charming imagery Illustrated end papers. Book in very good condition. Measures 6 1/4" x 9 1/4". 28 unpaginated, applied color cover with fabric spine, color illustrations by Ruth E. Newton, assisted by Betty Carter and Mabel Horn. Jane and her little brother are taking a trip on the Children's Train with their dog, Wiggy Wags, canary, Trill, and cat, Susie. Accompanied by Jane's doll, Honey Bunch, the group a round trip from Bamberry town to Bagdad and back. The sleep over on the train. The animals have their own adventure too. 13 1/4" x 11 3/4"
Hut isch wider Fasenacht, wo-n-is d'Mutter Chuechli Bacht. n.d. Bern: A.. Francke,. Oblong, cloth backed pictorial paper-covered boards. 16 pages. 15 color illustrations Text in German. Rich colors with fanciful illustrations throughout. Fine color lithography throughout , picturebook style with caption at base of each page. Measures 4" x 12" Ink inscription on title page. 8 pgs. wraps. An illustration and rhyming verse on each page. The story of anthropomorphic cats planning and executing a party with all it's trials and tribulations. Concludes with a Moral. The reverse of the pages are blank and a child has created (traced) an outline of the image on the reverse page--a charming touch. 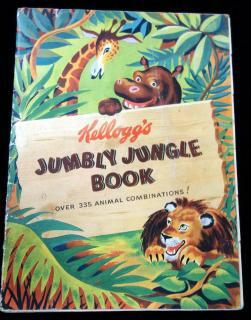 Front cover depicts dancing cats while the back cover promotes Indestructible Toy Books by McLoughlin. Measures 9" x 5 3/4". OCLC -5 on 6/5/17. Cover wear with two corner chips on cover. 24pp. heavy card stock accordion or concertina style book. Illustrated by Mary La Fetra Russell. Printed front and back. Each page depicts and illustrates a different nursery rhyme with a portion of the rhyme at the base of the page. Charming imagery. Includes all of the favorites plus a few less known including Tommy Snooks and Baby Brooks; Daffy-down-dilly and Wooley Foster has gone to sea. Generalized light to moderate wear. Measures 9 1/4" x 11" when folded. The children's book compiles as many of the Rhymes, Jingles, and Ditties that any kid would know that could fit. 31 pages, hard cover. Of the numerous tales included, there are many immediately recognizable, like "Three Blind Mice" "Jack and Jill" and "Pat-a-Cake". There are 30 hand colored illustrations done by Charles Bennett. Each page has several tales, at least two, with an illustration that represents one of the stories on the page. OCLC 1 (October 2018). 7 1/2" x 5 3/4".. The whimsical children's book tells a story about animal characters activity and life in the woods through images and verse. 52 pages, hard cover. The book is divided into twelve sections, each about a topic of life in the wood, including "A Concert", "The Regatta", and "Stop. Thief!". The sections are broken up with a title page and related illustration between each scene. Each section has several, few line verses that tell a story with small illustrations to depict the characters, and one full page, color illustration that is a scene related to the story. The first section title page has been hand colored, presumably by the owner of the book. Measures 12 1/2" x 9"..
28 unnumbered pages. Stiff wrappers. The wooden doll was upset because Baby wouldn't look at her as Baby wanted a Black dolly and she was white. She dipped herself in ink and did what she could to become Black. The excited little girl told her Nursie about her new doll. Nursie declared "what a dear little dirty dolly!" She was immediately washed and soon a white wooden doll once again. 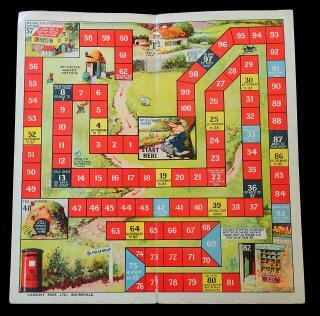 Measures 5 1/2" x 4 1/2"..
A 15 1/2" x 12" hand-colored lithographic German board game with anthropomorphic characters. Originally illustrated by Jakob Schmitt some time between 1820-1830, this is a reprint on thick board from around 1870. There are are forty-one (41) numbered squares, half of have characters in them. Square #41 is the large drawing in the center that depicts anthropomorphic characters at a banquet. There are instructions at the bottom, in German.. Minor edge wear and toning due to age. Diarama-style childrenâ™s book w Eight (8) die-cut movable animals A 9â� x 11 Â½â� heavy card stock fold-out diorama-style barnyard scene. Includes eight (8) different easel back, mechanical animals, each with a printed verse. They are Wooley the Sheep, Gobbie the Turkey, Dobbin the Farm Horse, Hissie the Goose, Gruntie the Pig, Sheep the Dog, Rex the Pony and Mooey the Cow. Complete. Cover wear with original price in grease pencil. Interior in excellent condition. Unnumbered. Center opening litho on cloth. Illustrated by Mercedes Llimona. Color pages on each side, which combine to create a scene. The end papers include characters and narrative for the initial scene. At the pages are turned the reverse of the scene page provides the narrative for that page. The final scene depicts a combined picnic scene with the characters from Little Red Ridinghood and the Three Bears. 9 1/2" x 8 1/4"
85 pp. 27 color illustrations. Original brown-green paper boards with applied stamp. Illustrated end papers. Some fading on covers. The story of a hedgehog washerwomen is another classic from the world of Beatrix Potter. The character is largely inspired by an actual washerwomen she knew. Combined with inspiration a beloved pet hedgehog, the famous Mrs.Tiggy Winkle was added to Potter's collection of stories. The brief Peter Rabbit cameo rounds out this cute short story. 5 1/2" x 4".. N.B. This copy sold as Lot 46 at Christie's East, the Doris Frohnsdorff Collection, April 16, 1997. 39 pp. Red fabric cover, bright colorful in-text illustrations throughout. Story line is Eddie Elephant's day and his interactions with other animals such as Mabel Monkey, Katy Kangaroo, and Christopher Crocodile. Measures 7 1/2" x 6".. light wear and sun fading on cover's edges, one page with stai. 94 pp. First American edition. Brown paper boards with applied anthropomorphic stamp and color pictorial endpapers. It has 15 color illustration and numerous black and white text illustrations in order to accompany the story of a pig that is looking for freedom. Potter got inspiration from her own life on a farm and observing pigs, using them as models. It is everything that a Potter book can have, talking and dressed animals, near death experiences, and ultimately a happy ending. 5 1/2" x 4". N.B. This copy sold as Lot 46 at Christie's East, the Doris Frohnsdorff Collection, April 16, 1997. 287 pp. with green pictorial covers showcasing a whimsical illustration of the Tin Woodman shaking hands with the Scarecrow. 1st edition. Sixteen (16) full color plates plus black and white in-text illustrations. Features illustrated endpapers with the comedians Montgomery and Stone portraying the Tin Woodman and the Scarecrow, respectively, in the 1902 musical, The Wizard of Oz. Illustrated by John R. Neill. Measures 9 1/4" x 7 1/4".. Rubbings on back strip. Ex-Libris on reverse of frontispiece. Binding cracked but intact. One of the full color illustrations is detached. Two pages, 152 & 153, have a stain in the center of the page. This does not effect visibility of the text.